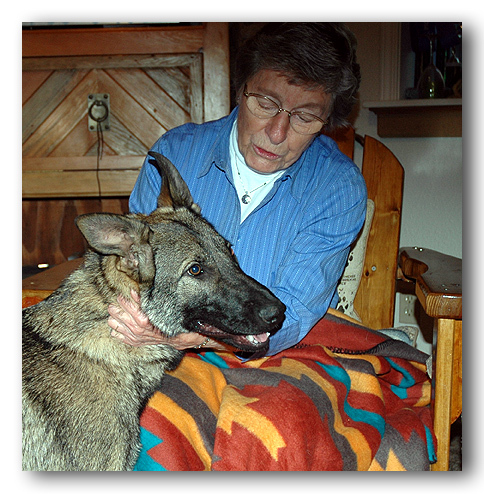 T.C.T.D (Twin Cedar Therapy Dogs) is a group of dedicated handlers and their dogs, providing therapy work in Amador & Calaveras Counties. They visit the special needs children in local schools and go to all of the senior care and rehabilitation facilities in Amador County. 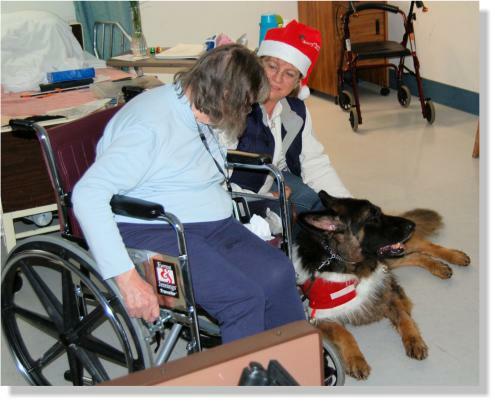 The teams are tested and registered with TDI (Therapy Dogs International). 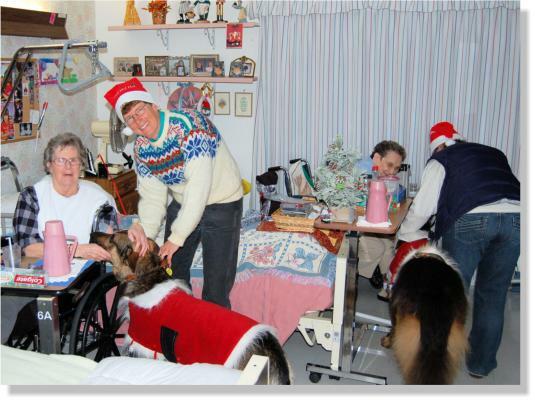 Here are some photos of the team visiting Kit Carson with the dogs all dressed up in their Santa suits. Our programs provide an introduction to those interested in working with their dogs to make a difference in someone’s life. 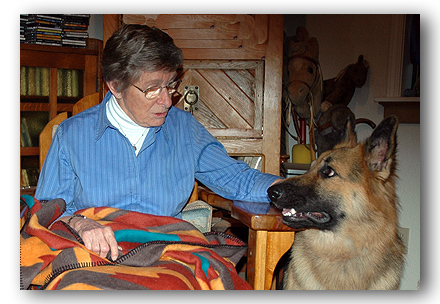 There are specific requirements and training for both the animal and handler to become registered and we provide both the training and practice to pass the Therapy Dogs International test. 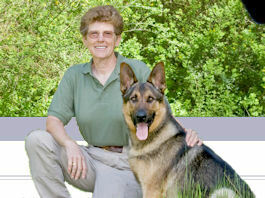 In our classes, the handler and dog will learn the skills to succeed in the therapy environment. 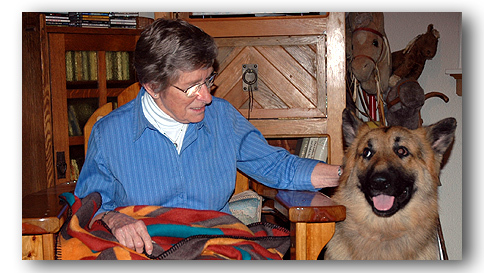 We provide the training and practice to get you registered and ready to volunteer in this rewarding field For more information about this wonderful opportunity please visit www.tdi-dog.org (Therapy Dogs International). Here are our two dogs, Duke and Paija at work. 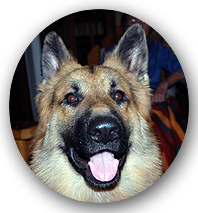 Duke has completed his training, passed his testing and is registered with Therapy Dogs International. Paija has passed her test as well. She is very steady and seems to know how to connect with folks. She's ready to start working her magic. Use the navigation bar on the left to see some of our recent graduates. Here's Duke enjoying the attention. 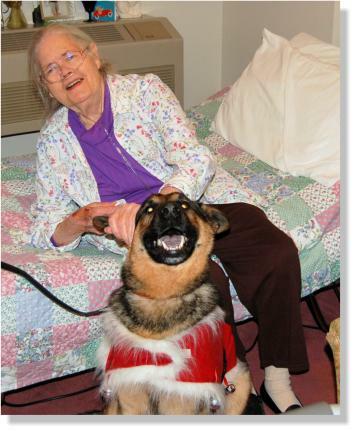 He responds happily when petted and talked to and his happy spirit is contagious. Here's Paija finding out that this is a pretty good occupation! Hey, wait a second! We're still working on this page and will be adding more information about the actual training program. We'll also be including some stories about our graduates and some recent trips. In the meantime, please click here to send us an email if you'd like more information or have any questions.